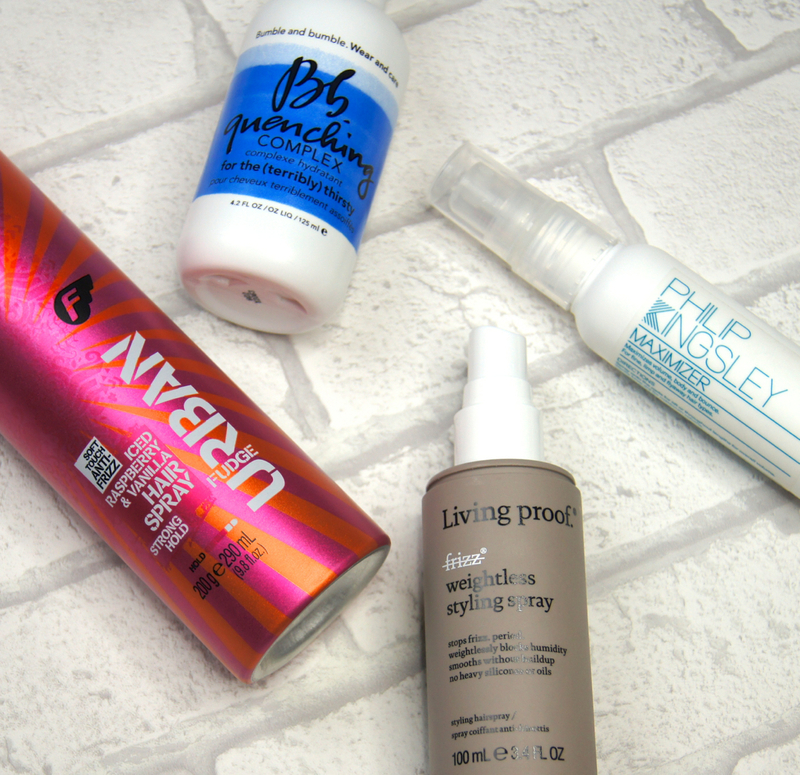 Following on from my 2015 makeup picks, we have my haircare favourites of the year. You may notice a pattern with the type of products I rate highly - I like them to drench my locks in moisture, fend off frizz and smell beautiful. Having very long hair that has to endure continuous heated appliance abuse, brushing and styling, it's imperative that I use an abundance of nourishing formulas throughout my regime, in order to keep my barnet healthy. When it comes to shampoo and conditioner, I'm ridiculously fickle. 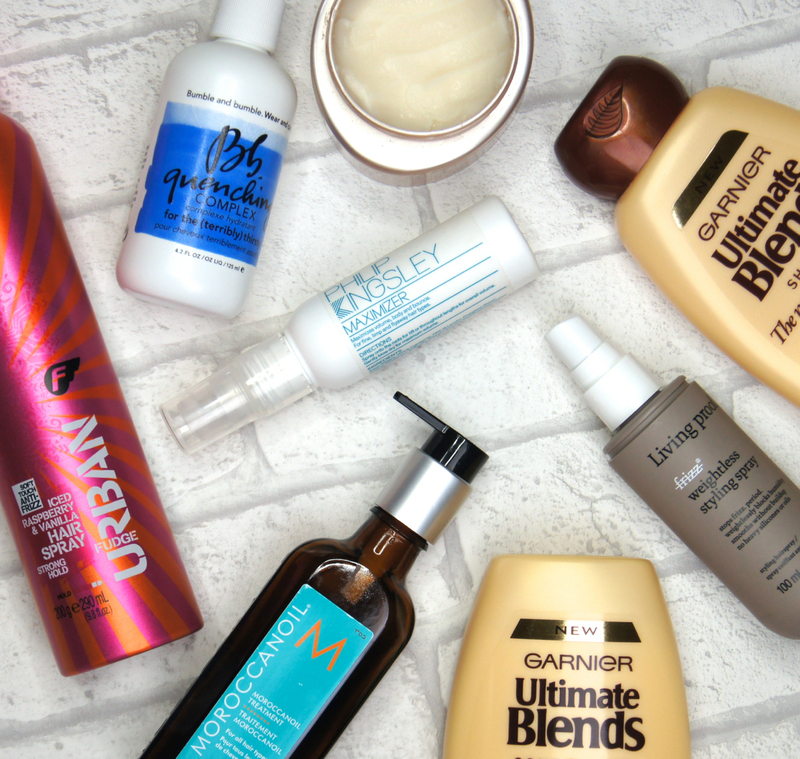 I've been through countless bottles from both premium and budget brands, but the pair that topped them all in 2015 was the Garnier Ultimate Blends The Nourishing Repairer Shampoo and Conditioner. Packed with nourishing avocado oil and shea butter, these products are a total saviour for dry, damaged hair. Working from first use, they leave my mane touch-ably soft, silky and strong, with no frizz in sight. To give even more oomph in the conditioning department, the Charles Worthington Intense Rescue Melting Balm is an amazing, convenient mask used on dry hair, before washing. Part of the brand's Salon At Home range, this treatment performs much better than any other, high-street mask I've tried and contains premium ingredients, including seven exotic oils and butters. Melting into a sumptuous, non-drip oil as you warm it in your hands, the formula is so luxurious. After use, hair is left hydrated, but light and bouncy, with a spa-like scent that lingers for days. Just like last year, my 2015 hair oil favourite is the Moroccanoil Treatment. Despite trying, I still haven't found anything that pips this product to the post. Not only does this oily serum leave my hair feeling silky, but it protects during heat styling and cuts down the time it takes for my barnet to dry. Personally, I adore the thick, intense consistency of the original formula and, making sure I don't get over-zealous with my application, I don't find it overloads my hair or weighs it down. There is a light version that's better suited for those with finer strands, though. Another product that is great for adding hydration to thirsty hair, is the Bumble & Bumble Quenching Complex. Locking moisture in and smoothing the hair shaft, fluffiness and flyways are nothing to worry about when you have this in your beauty stash. Although the leave-in lotion is non-greasy, it's very potent, so you only need a tiny blob of product per application. Hence why my bottle has lasted for a year and still has a quarter of it left! In the past, I've been obsessed with volume sprays used on dry hair, but I've much preferred using the Philip Kingsley Maximizer before blow-drying, recently. I don't know how it does it, but it gives my hair mega lift and bounce at the roots and lots of body through the lengths. There's no sticky residue left behind, either. For those with colour-treated hair, the spray contains UV protection to prevent fading and it also lightly conditions whilst boosting volume. I'm going to be honest, hairspray bores me; I just can't get excited about it. But, the only one I've ever repurchased, is the Fudge Urban Iced Raspberry & Vanilla Hairspray and that says something. Although I was half expecting style over substance when I first tried it, with the bright packaging and quirky scent, I've actually thoroughly enjoyed using it. Yes, it smells incredible and looks pretty, but the formula has a powerful enough hold to keep my curls looking shapely and fuzz-free all day. All without a crispy or sticky finish. Which haircare favourites did you discover in 2015? Great set of favourites, I absolutely adore the Phillip Kingsly Maximizer! Brilliant post. I really need to start putting effort with my hair and properly taking care of it. Hair seems to be the one department i am the most lazy in. The Moroccan hair oil sounds lovely and I've been so tempted to try that (or at least something similar), however I'm still addicted to using Argan Oil on my hair! Great favorites! I am getting more and more into hair products; so these were welcome tips! 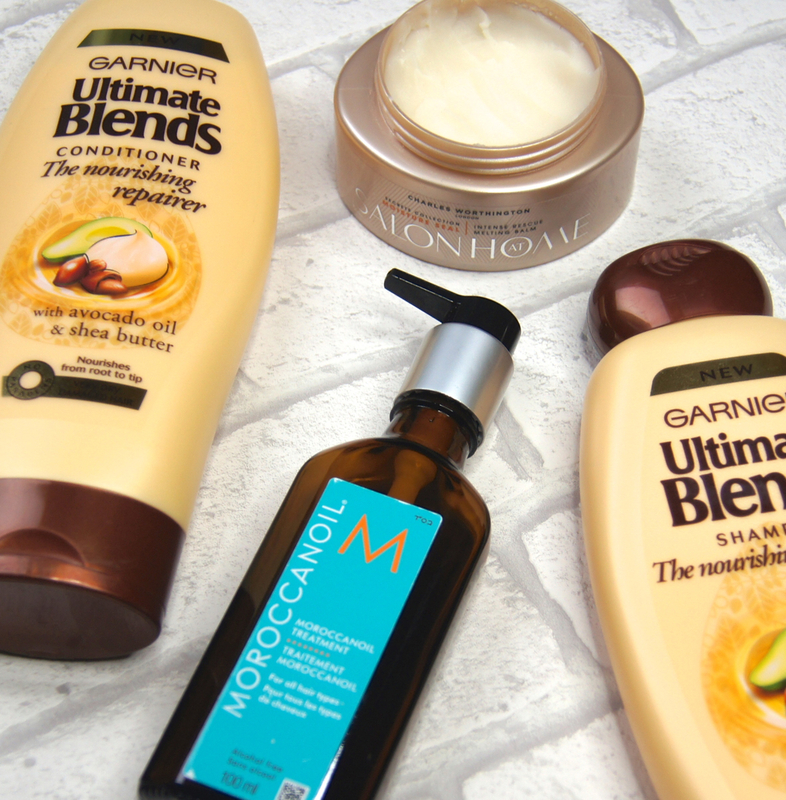 I really need to take better care of my hair - I love ultimate blends though, such a gorgeous scent too! Bumble & bumble is a brand I'd love to get into.